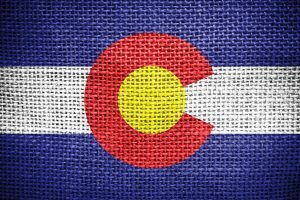 Colorado climate – the cold winters, the harsh, hot summers and the extreme weather events – can be extremely hard on vegetation, lawns included. However, with some attention and care, you can enjoy the lush, green color of your strong and healthy turf – here are some tips to get a lawn that turn heads in the neighborhood. Like all plants, grass needs water to be able to thrive, but if you want to make sure that your grass stays strong and green, you must pay special attention to the amount of water you give your turf as well as to the time of the day when you water it. The best time of the day for watering is early morning, when the temperatures are still low and you can avoid burning your plants. You should avoid drowning your lawn – stop your sprinklers when the level of the water on the lawn reaches 1 inch. Lawn aeration in spring and in fall is crucial for the health of your lawn. The watering process tends to compact the soil, preventing oxygen, moisture and nutrients from reaching to the roots and heavy snow blankets also harden the soil and prevent breathing and proper nutrition, so the best periods to aerate and to reseed your lawn are right before and not very long after summer. Cut your grass regularly, but make sure that you do not mow it too short or leave it too long. Grass that is too short exposes too much of the soil to air and sunshine, causing the soil to dry too quickly, while grass that is too long tends to lie down and suffocate the roots, the ideal height for your grass leaves being around 2-2 ½ inches. Mow your lawn when the grass is dry and around 3 inches tall and leave the grass clippings on the lawn for a day or two before collecting and bagging them to make use of the precious moisture they lock in. Using sharp, clean blades on your mower is also essential for proper mowing. Blunt blades that have not been maintained properly tend to tear the grass leaves and hurt them, rather than cutting in a clean and efficient way, so make sure to sharpen your blades every two weeks. Strong, green lawns also need extra nutrients, especially in harsh environments, such as Colorado. During the summer months, you can use synthetic or the best fertilizer for grass, such as organic fertilizers and compost and it is a good idea to use some herbicide to prevent weed growth. You can also remove unwanted weeds by hand whenever you notice them. Not all grass species can thrive in Colorado and it may take a while until you find the best variety for your garden. If you currently have a less resistant type of grass right now, you don’t need to remove it completely to get a lush, green turf – pick a more resistant species and over-seed the existent lawn with the new seeds.